Hand-woven basket and made-to-measure wool covers by Valentina Hoyos. Image by courtesy of Valentina Hoyos. 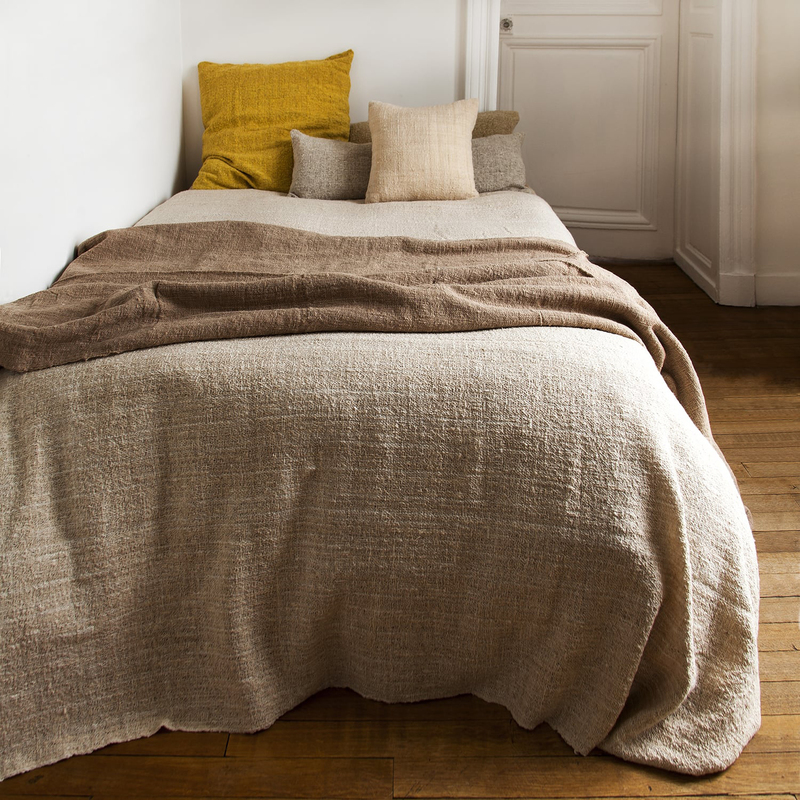 Hand-picked and hand-spun organic cotton throws and cushion covers. Besides the natural beige, there is a selection of beautiful vegetable dyed colors. Image courtesy of Valentina Hoyos. Our homes are reflections of ourselves. We create the atmosphere and the aesthetics, the cleanliness and the mess. When caring for our home, we care for ourselves. The space comes alive as we clean it. Clearing up stuff and putting things back to where they belong is a good way of organizing your thoughts too. When everything is a mess and you would not really have the energy to even start cleaning, try starting anyway. Let the light and air in by opening curtains and windows. Then choose one spot you want to clean. Things that are large in size yet do not take a lot of time to clear up are the best ones to start with: beds, sofas, kitchen counters. Once you get one thing done and you sense the improvement, it is much easier to continue. It is funny how the tiniest things – like a bag of old batteries by your door waiting to be recycled, or a broken light bulb still waiting to be changed – can hinder our feeling of being in charge of our lives and getting things done. If you have a lot of things to do, try releasing them from your mind by putting them onto paper. It is the unidentified things that we carry in our head that cause the most fuzziness and confusion. Once you have a clear list on paper, you have a new sense of control over the work load. The same goes with daily tasks at home. If there is simply too much to do for now, do something that is easy, something that is possible, and make a to-do list for later. I also love the quote by Elon Musk on how you do impossible things. That you start by doing something that is possible, and then continue. That’s how. Images by Mark Eden Schooley for Valentina Hoyos, who does impossible things by doing one possible thing at a time. 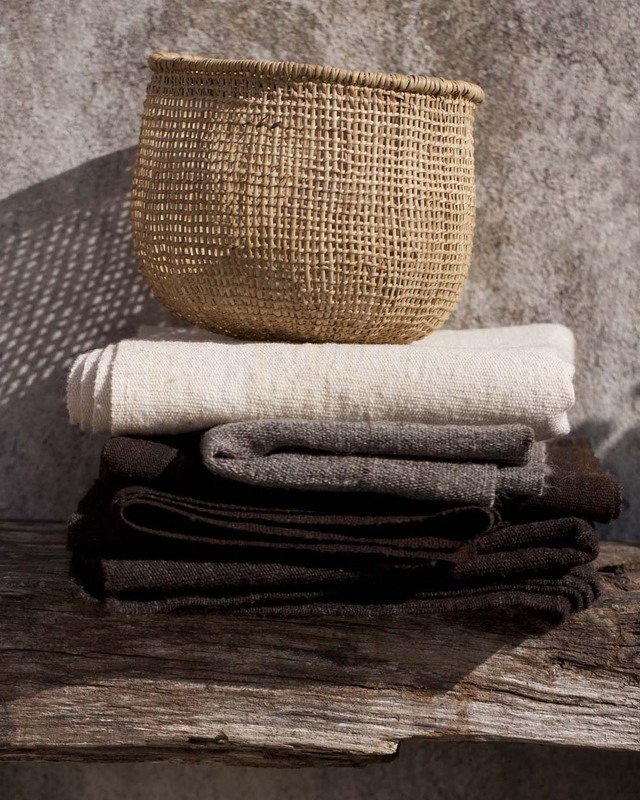 Her home line carries kitchen accessories, woven baskets, bags, lighting, cushions, bedlinen, rugs and home textiles. The items are produced focusing on natural materials found in the environment, avoiding chemicals in the whole cultivation and elaboration process. Sustainability also means fair payment for the craftmen who make the products.